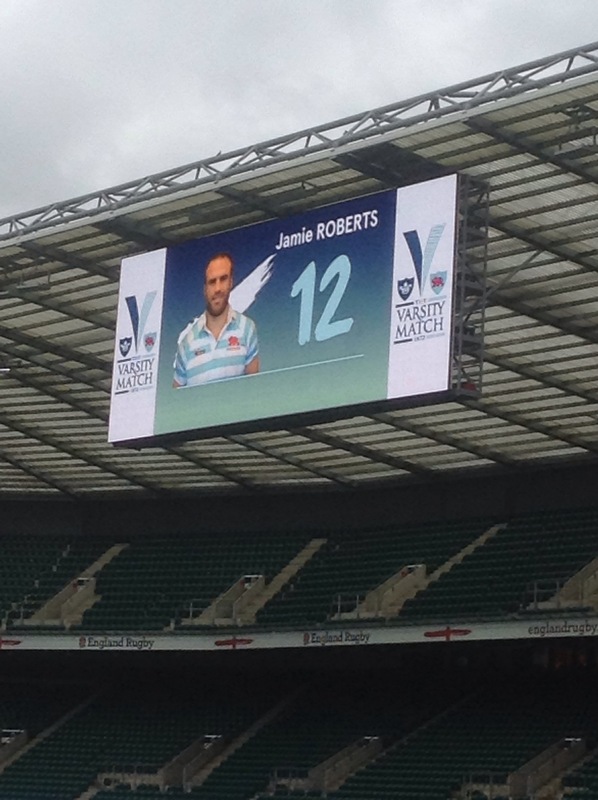 A dead leg received, after only 23 seconds of the Varsity match, forced Jamie Roberts into a half time withdrawal from the fray of the 134th showdown between the Blues. The other guy came off much worse, Oxford captain Henry Lamont was knocked unconscious and had to leave the field in the first minute. 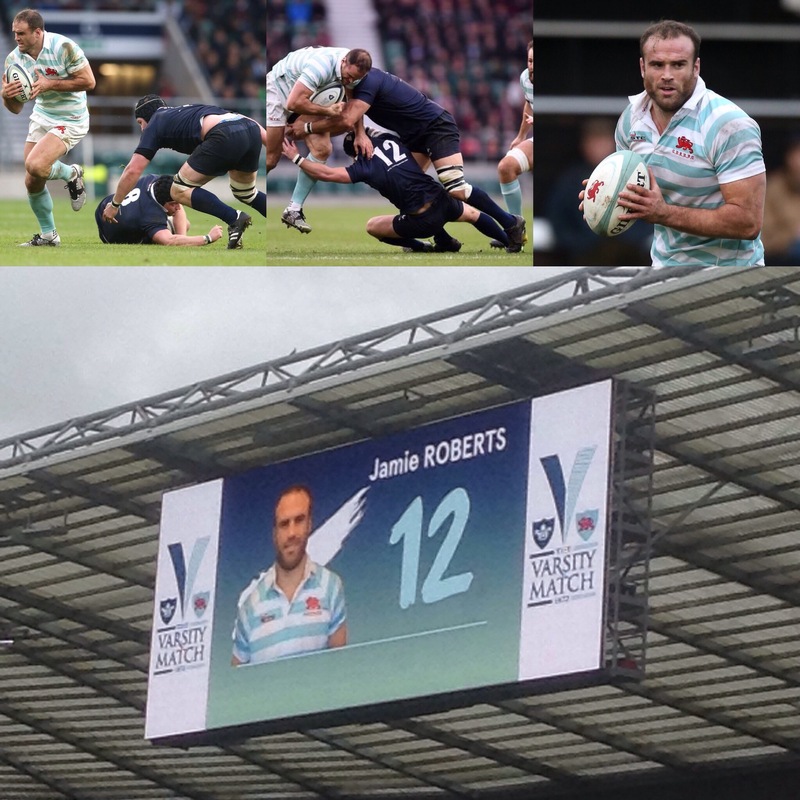 Jamie Roberts was certainly the centre of attention, as 25,013 folk flocked to Twickenham to enjoy this historical pre Christmas rugby treat. The Wales icon is undertaking a two year masters degree in medical science, and after spending the Michaelmas term at Queens College, he will now continue his studies, on a part time basis, as he returns to professional rugby with Harlequins. The defeat as you can imagine did not sit well with the good doctor. As an aside Jamie was the first player onto the field to warm up and the first to applaud the victorious Cambridge women’s team as they performed their lap of honour. A pretty decent bloke all round is our Jamie.